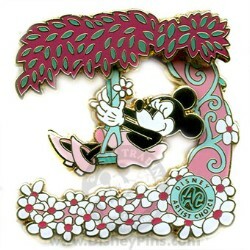 Minnie Mouse enjoys a springtime swing in this Limited Edition Artist Choice pin. Artwork for this pin was created by Disney Design Group Artist Martha Widener. This pin features a pin on pin and movement.